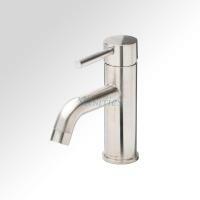 Elegant curves and a sleek brushed nickel finish make this a perfect choice for contemporary or modern bathrooms. 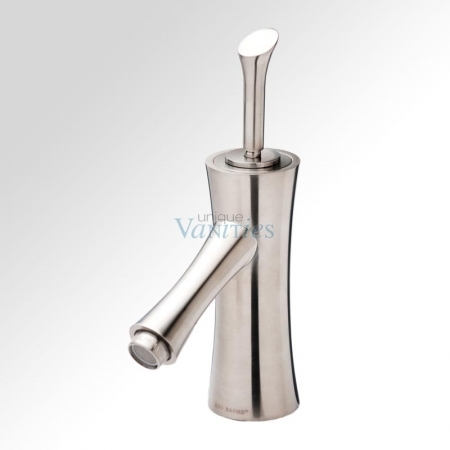 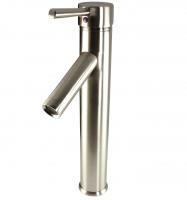 The single lever control also makes the faucet easy to use. 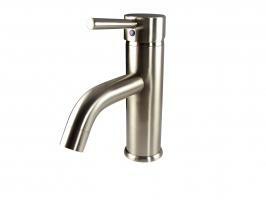 Beneath the finish, solid brass will resist rust and work for years in your bathroom. 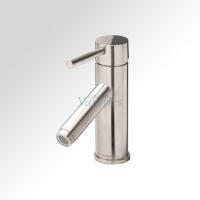 The faucet includes all hardware and lines for a traditional mount.